If you’re just getting into kayak fishing, it can be a little overwhelming to figure out what you might need to get started. 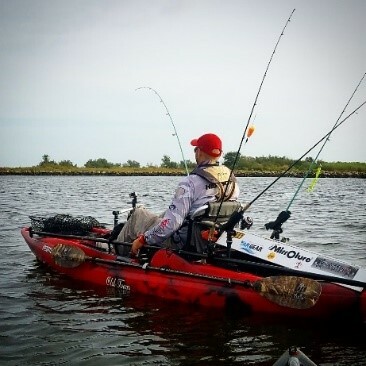 Here are some tips for kayak accessories you’ll need as a beginner angler. The most important items to have while kayak fishing are a PFD (Personal Flotation Device) and a signaling device (whistle). Not only are these items required to be on your kayak by the law, but most importantly, they can save your life in the event of an emergency. While it may seem like a pain, there are many different brands and styles available to keep you both safe and comfortable while you’re out on the water. Choose the right kayak anchor for your specific needs. Without an anchor, you have no way of “putting the brakes” on your kayak. For shallow water, the YakStick Mud Anchor is an excellent choice. When it comes to deeper water, the YakGear Grapnel, Bruce or Mushroom Anchors will do help you stay in one place when needed, depending on the speed of the current and the material at the bottom. Rod holders are a necessity to kayak fishing. You can never have enough rod holders! There are many types, but my personal favorite is the RAILBLAZA Rod Holder II. It’s extremely versatile and will hold just about every style of fishing rod – from spinning rods, to bait casters and fly rods. It has an easy-to-open locking mechanism that will help ensure that your rod doesn’t come out unless intended to. It also turns 360 degrees, and attaching the rod holder to your kayak is easy with the variety of mounts RAILBLAZA provides for any surface. When it comes to kayak fishing, staying organized is key. A crate is perfect not only for keeping all your belongings (tackle, anchors etc.) in order, but also for attaching rod holders, leashes and other gear. Kayaks come in all shapes and sizes, but a standard milk crate always holds everything you need. Finally, leashes are essential for kayakers who want to attach valuable items like rods and paddles to keep them from falling out of the kayak. I learned this the hard way! I dragged a big fish over the side of my kayak, knocking my paddle into the water – never to be seen again. Now, I always use a leash while out kayak fishing. YakGear offers kits that include most of the things you’ll need to get started with kayak fishing. One of my personal favorites is the YakGear Kayak Angler Kit in Crate – Pro Series, which contains multiple styles of rod holders/mounts, leashes, a grapnel anchor, accessory pouch and Fish Grips. Once you get all the necessities in order, you’re well on your way to having a successful kayak fishing trip. Good luck, and tight lines! 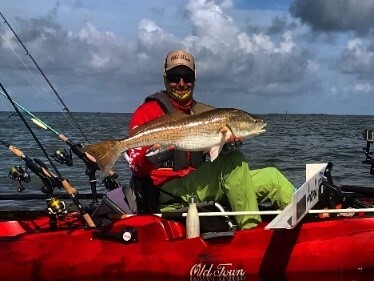 Eric Henson is the proud owner of Casting Kayaks, LLC in Sarasota, Florida, where he is a full-time professional kayak fishing guide and professional tournament kayak angler. His specialties are using artificial lures and flies to target inshore species like snook, redfish, trout and tarpon. Tournament fishing and guiding are some of his biggest passions. One of his greatest enjoyments in life is helping friends and clients experience the beauty and thrill of kayak fishing. His mission is to get anyone and everyone into a kayak on the water and to show them life through his eyes.